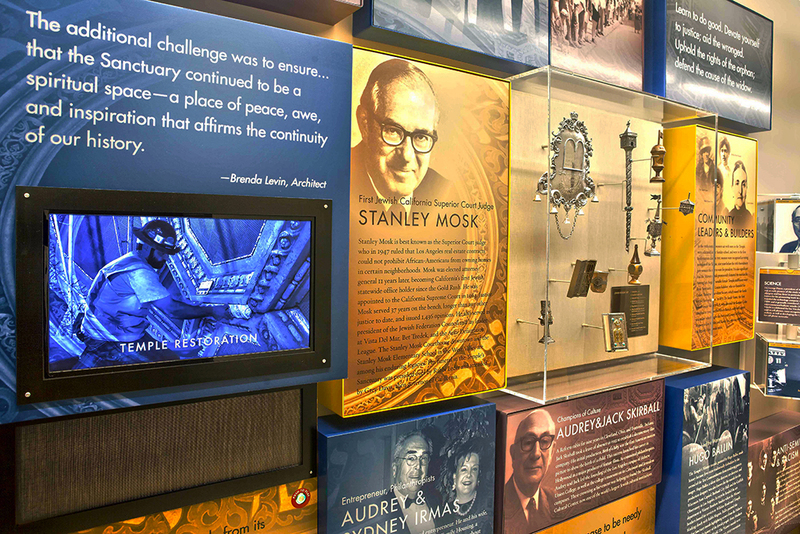 In September 2013, Wilshire Boulevard Temple rededicated its historic Magnin Sanctuary following the completion of extensive renovation work and restorations to the original 1929 building. 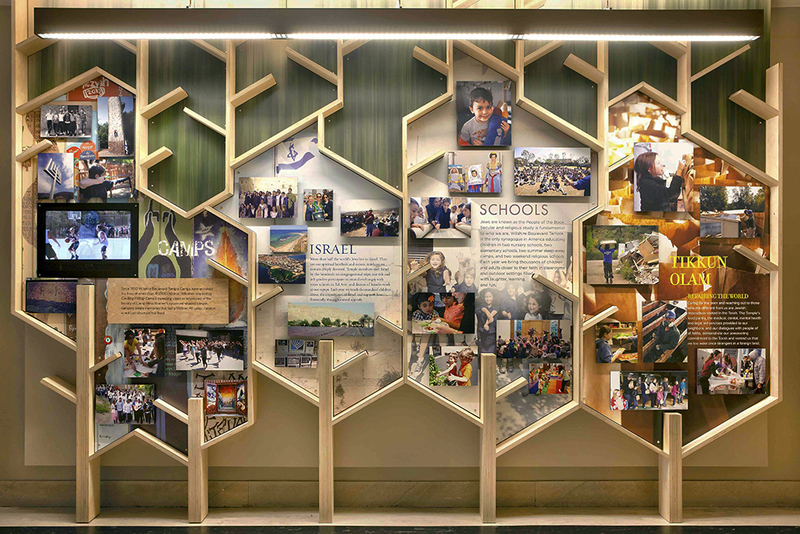 To commemorate this significant milestone, Cinnabar was invited to design and produce a new exhibit sequence for the temple’s sanctuary corridor. 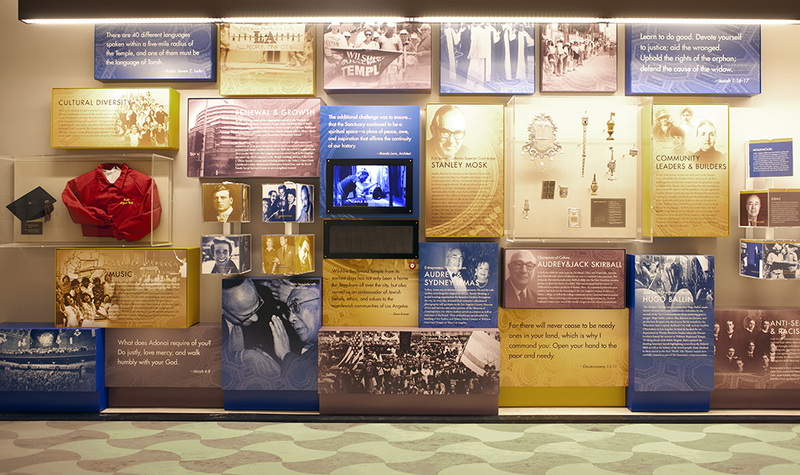 The temple serves as an important center for Jewish spirituality and hosts numerous tours by a broad range of audiences from surrounding neighborhoods. 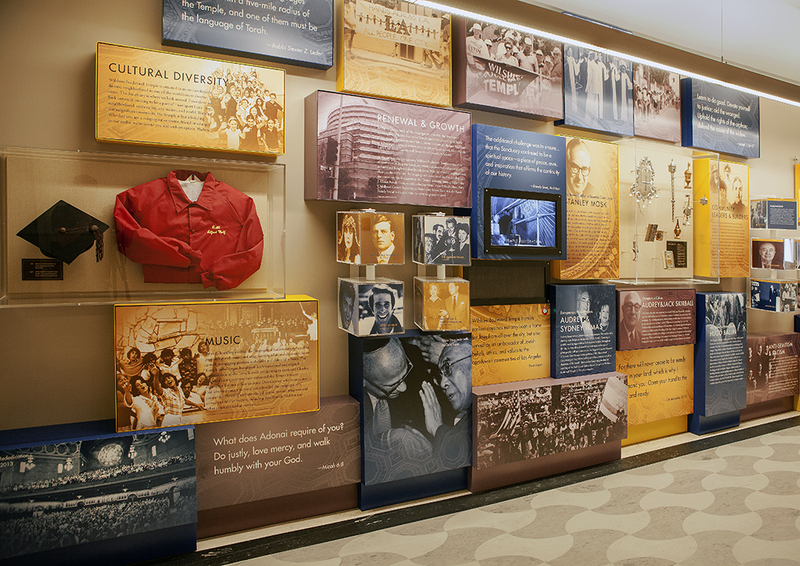 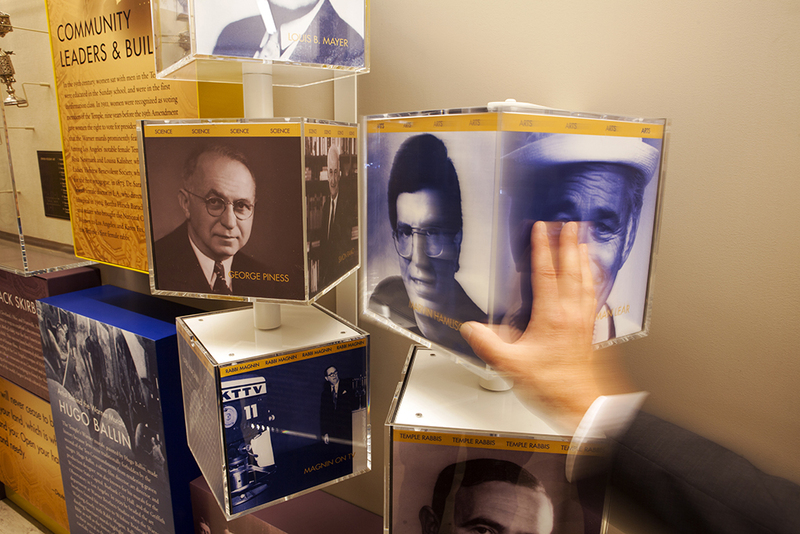 The new exhibits thus focus on aspects of the temple’s history and, while telling the story of the vital role the temple and its members have played in the broader culturally diverse Los Angeles community, introduce temple visitors and tour groups to the essential tenets of Torah, Avodah, G’milut Chasadim and Tikkun Olam. 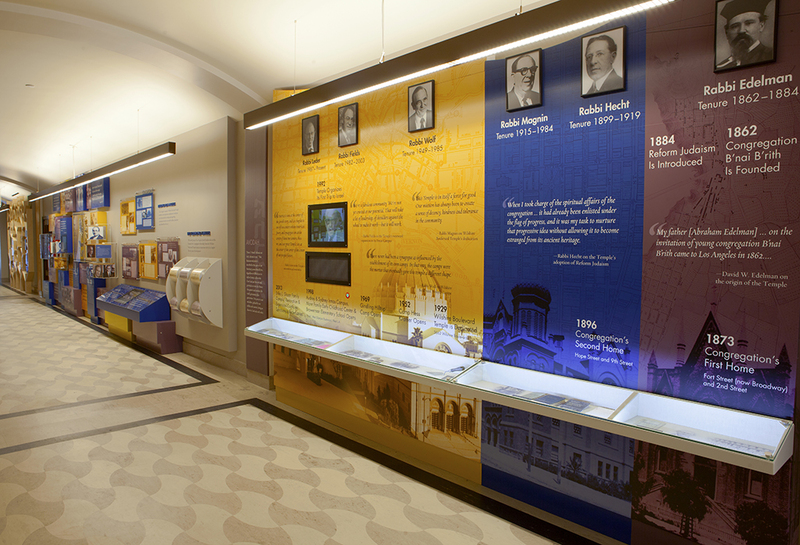 In addition to telling the story of the temple, a central concern in the design was to create an eloquent sequence of exhibits that actively engaged visitors traveling the arched passageway and relatively compressed space afforded by the sanctuary corridor. 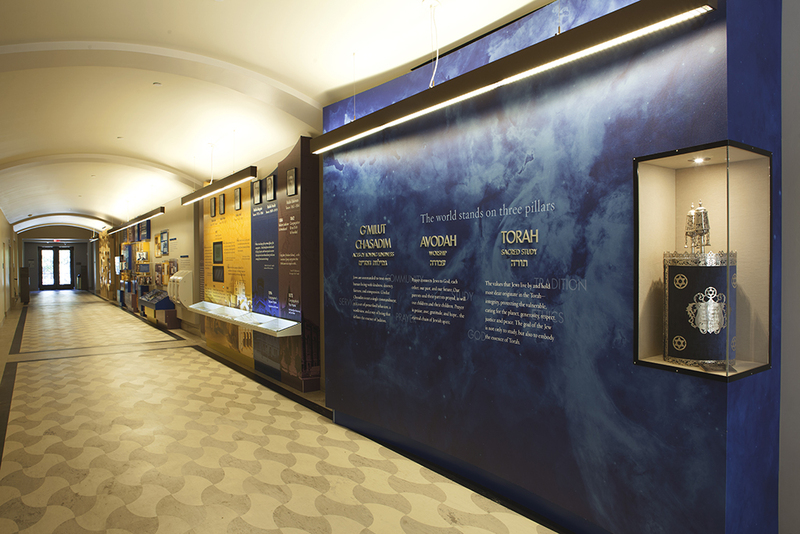 To accomplish this Cinnabar pursued a design that employed a variety of surfaces and textures punctuated with audiovisual media and interactive experiences that focused on important aspects of the temple’s history and the renovation process.